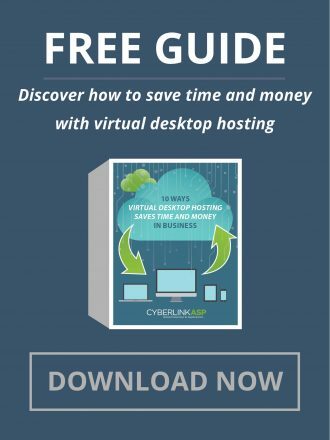 From field reps to management, improve efficiency with virtual desktop hosting. In the medical supply industry, timely and quality delivery can make or break your reputation. With our strong ISV relationships and specialized knowledge of industry challenges, we help ensure your customers stay happy. We do that by providing you with anytime, anywhere access to mission critical applications and software, from SCM, vendor and GPO contract management, to reporting and warehouse management solutions. It’s a simple way to empower your workforce connectivity wherever they need it. Rest assured that your account data is secure with 24/7 monitoring. Access your orders, inventory, records from anywhere at any time. Remote access allows greater, more effective collaboration to improve efficiency and customer satisfaction. We take care of routine backups to reduce data risk worries and minimize potential loss of productivity. Achieve maximum speed and efficiency with software integration and optimized speed. Access to all of your files and applications allows your staff to look up orders, inventory, shipping details, and more instantly, so your team can provide your customers with accurate information in real time. Gain a competitive edge by providing the best customer service around with added speed, accuracy and efficiency. Accurate tracing of your inventory improves your overall operations. 24/7 access to your inventory management software helps you avoid product shortages and results in optimized efficiency in production and order fulfillment. Retrieve the answers to your inventory questions quickly to improve service and grow your bottom line. Managed IT and virtual solutions give businesses with a small IT staff an edge over their competition. Remote access, customer management, billing and insurance applications can be supported virtually for an increasingly mobile workforce. 24/7 support and reliable technology allow you to focus on more strategic projects.